We’ve gotten back into the running thing again, quite nicely. We’ve been running every day since Saturday and really feeling good. I got three new pairs of shoes for my birthday and its been interesting to try them all out. I’ll write more about them later. I am starting to realize, however, that I am getting a runner’s body: trim legs and a thick torso. You know the ones I mean. They were your high school history teacher and coached cross country. While we were running today we discussed this issue. I was reading somewhere that when you need to lose fat you just do enough cardio and lose the fat. It will come off. Yes, that is true for me too, but since I stopped doing all the abs and arms work I’ve stopped seeing differences in those areas. Even if that target focus work doesn’t specifically burn fat, it does change the area. I need to get that going again. I get all excited about them. The other morning I was laying in bed and sat up. 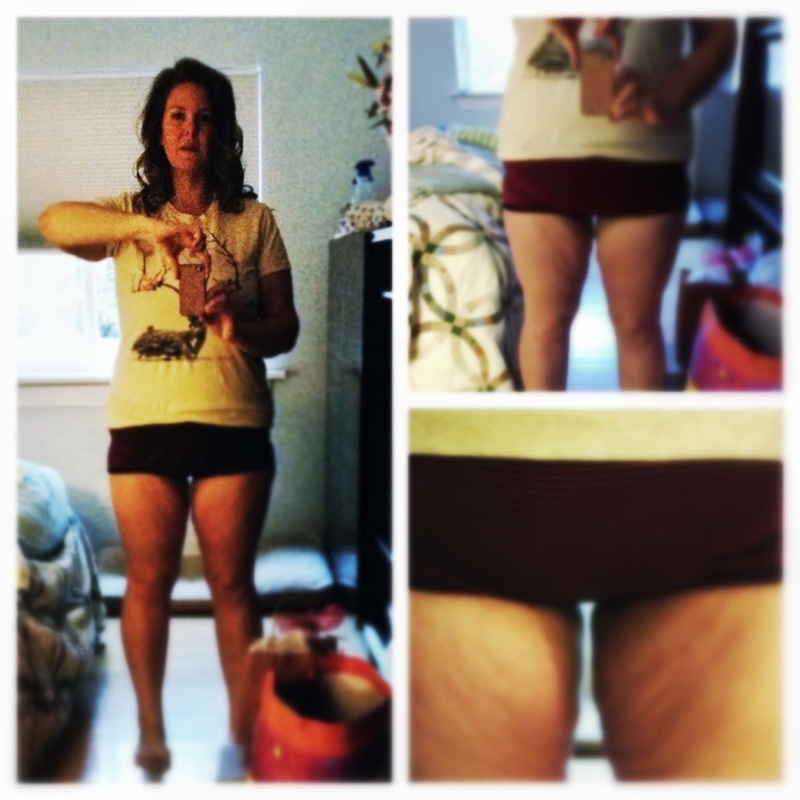 Out of the corner of my eye I catch my thigh muscle just popping up, all big and strong! It was kind of exciting! The only movement I’m used to seeing is of the jiggly variety… I was so enamored I made Bradley watch while I flexed my muscle back and forth. He patiently watched while I enthused. Looking back I was a little overly excited. Just as I am now. I realize I am ridiculous, but doesn’t this also say a little about what it’s like to be a fat girl? The way we see our bodies? The way we see thinner girls’ bodies? That this is a celebration is absolutely ridiculous- I totally see that- but for some stinking reason it remains a thrill for me- thighs that don’t touch. Perhaps it’s come from one too many summer dresses with sweaty thighs, the bottle of baby powder I carried across Europe to dust them with, or maybe I want that space because of the time I wore my new lavender shorts all over Victoria B.C. as an 11 year old and ended up with the most stinging, chaffed, tortured thighs ever imaginable. But mostly it is the fault of the 80’s and spandex. You only wore spandex if you had that space and I didn’t have it so, sadly, I missed out on ever wearing spandex. I know. But mostly that rule was cemented into my brain like some bizarre dogma and that space is some kind of marker. Weird, huh? And not all that worthy of this much typing. But there is my process.